Rainfill Tanks have over 30 years of industry experience in the corrugated products market segment. Family owned and based in Perth, we service the entire Western Australia region. 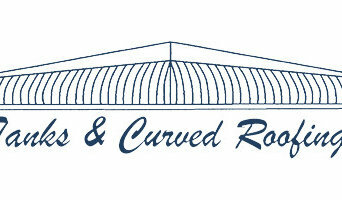 We specialize in iron rainwater tanks, garden beds, garden shed, all custom designed to meet our clients needs. We help contractors and homeowners with the supply, installation and any repairs that might creep up. Call us for a free quote today! Septic tank prices in East Perth vary depending on the size of the family home, just as installations will be pricier in less forgiving landscapes which require more planning and excavation. Wastewater management may also include the treatment of grey water - wastewater collected from washing machines, dishwashers and kitchen sinks. How Do Septic Tank and Sewage Systems Work? A large concrete or steel septic tank can hold up to 1,000 gallons of water. Wastewater comes down into the tank on one side from your East Perth, Western Australia home’s sewage pipes and leaves the tank on the other side. Gases go up through a vent pipe through the roof of the house. Wastewater flows out of the septic tank and into a drain field made of perforated pipes, deeply buried and covered in gravel-filled trenches. The drain field tends to be about 180 centimetres deep and sixty centimetres wide. Ultimately, the size of the drain field depends on how well the soil absorbs water, with slow-absorbing soil requiring a larger drain field. About one metre of gravel covers the drain pipes, with dirt filling the remainder. Installing a septic tank system is best left to a licensed advanced wastewater treatment system installer, who can anticipate what size drain field your East Perth, Western Australia system will need. Whether you’re working on a new build or a renovation, make sure your septic expert and installer openly communicates with your builder or plumber. Here are some related professionals and vendors to complement the work of septic tanks & sewage systems: Building Project Managers, Plumbers. Find septic tank and sewage system professionals on Houzz. Narrow your search in the Professionals section of the website to East Perth, Western Australia residential septic tank and sewage system experts and installers. Read through professional profiles for information on licensing, qualifications and experience. If you are building an East Perth, Western Australia home that isn’t near a sewer system hookup, you’ll want to hire an excavation company that specialises in septic system design and installation.